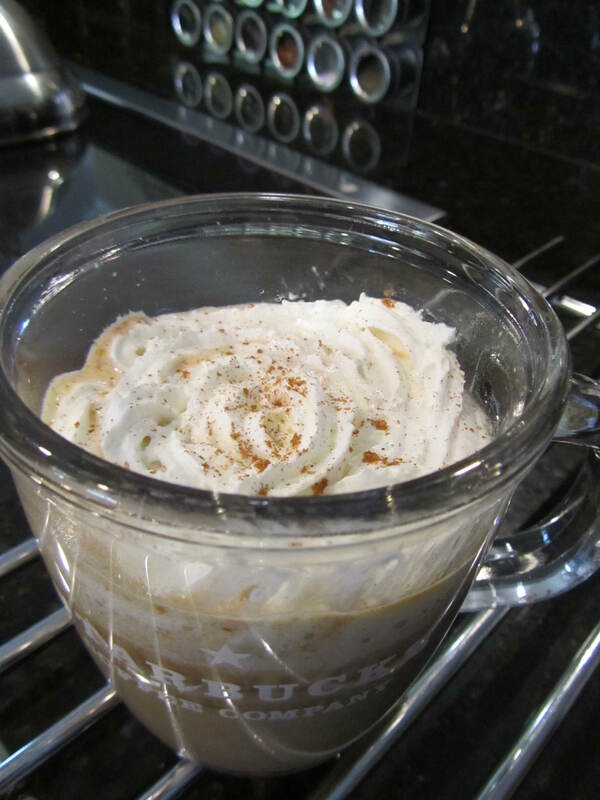 Last week I posted a recipe for Pumpkin Spice Coffee, not to be confused with this recipe for Pumpkin Spice Latte, although both are incredibly delicious and perfect for wrapping one’s self in the feel of fall. The latte version differs in its use of espresso as opposed to coffee, a slight decrease in the sugar department, and a larger serving size. 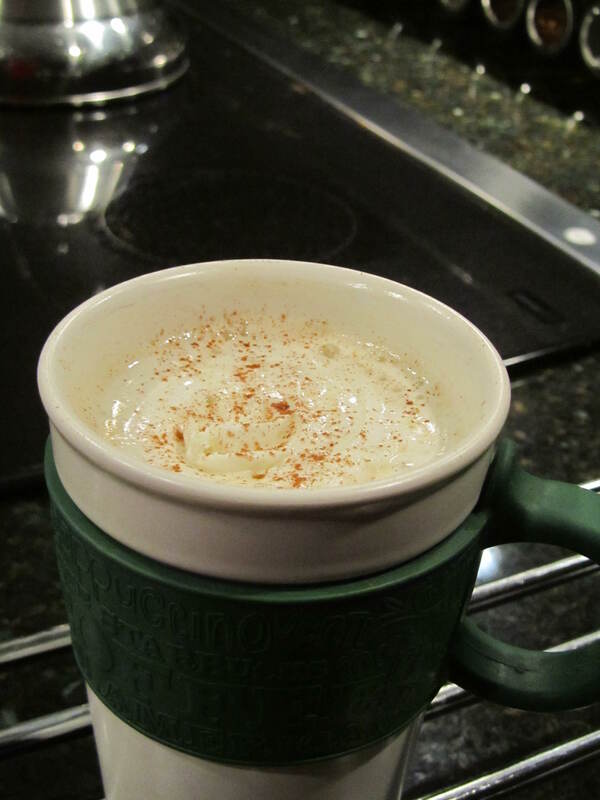 Regardless, if you like Starbucks’ Pumpkin Spice Latte, you can’t go wrong with either recipe. As an added bonus, for those who aren’t coffee drinkers or who are looking for a nice hot drink to serve to the young ones after their noses have been nipped by the frosty air, consider serving “Hot Pumpkin Spice” without the addition of espresso or coffee–a tasty alternative to hot chocolate. It’s that time of year again (earlier this year than last, it seems) when Starbucks reintroduces its wonderful Pumpkin Spice Latte. I indulged yesterday. But today…the frugal me kicked in and I modified a recipe found on Pinterest to satisfy my craving for a repeat performance. I still enjoy Starbucks’ version more, but not $3 more. This is quite tasty!